NOTE: This page was originally published in 2015 & was last updated in October 2018. When I set out to create this guide for parents, I never imagined it could be so difficult. 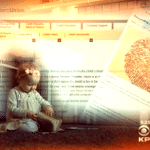 Several years, several massive hacks and several pieces of legislation later, every parent now has the right to freeze their kid’s credit and utilize the single best tool to prevent financial ID theft. We recently discovered some of the bureaus may be, once again, requiring you to mail in sensitive documents despite laws intended to prevent that. 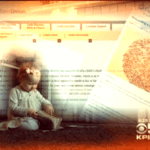 Back in 2016 I reported that the credit bureaus themselves were putting the identities of both parents and children at risk by requiring parents to mail sensitive documents to a PO box. In “How I Forced the Bureaus to Freeze My Child’s Credit,” I outlined the security risks and detailed my 6-month effort to encourage the bureaus to voluntarily offer an alternative to mail. 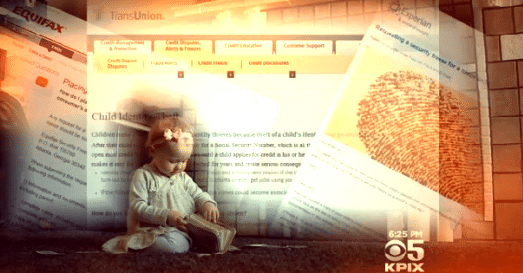 Ultimately, Transunion & Equifax agreed to allow parents to fax in documents upon request. 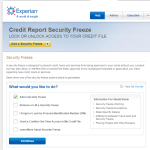 Experian added a secure online upload feature. Unfortunately, Transunion recently decided they would no longer offer an alternative to mail and disconnected their fax without warning. Similarly, Experian is no longer allowing parents to use its secure online upload function to submit the sensitive documents necessary for a child credit freeze. 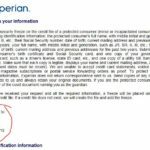 To be clear, Experian does still have the online upload function and will allow adults (who they can charge) to use it, but they will not allow parents to use it for the child credit freeze. Incidentally, these changes follow a recent federal law that now requires the bureaus to allow all parents to freeze their child’s credit for free. They use to make money off child credit freezes and only allowed them in certain states. Privacy advocates like Consumer Watchdog note that the refusal to offer a secure alternative to mail seems to contradict the spirit of the law which also requires the credit bureaus to let you request that freeze via “telephone or secure electronic means.” In addition, the mail-only policy is at odds with various state laws prohibit printing Social Security numbers on materials that are mailed. 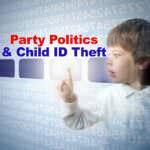 They require parents mail in full SSNa along with birth certificates and a slew of other sensitive information. We have reached out to regulators and hope to have a secure alternative to share with you soon. In the meantime, you can review our step-by-step child credit freeze guide below and begin gathering the necessary documents. We suggest holding off on step 3 for Experian and Transuion until we update this post with an alternative to mail. Equifax does still offer a fax option as an alternative to mail. However, if you do want to/need to freeze your child’s credit immediately, we highly recommend sending your documents to the bureaus via Certified or Registered Mail so that you can track the delivery and ensure it arrives safely at the bureau. 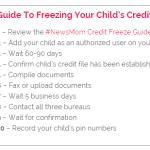 STEP 1 – Review the detailed “Child Credit Freeze Summary” for each credit bureau. 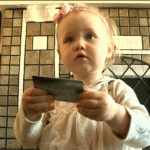 The three bureaus have different procedures to freeze your child’s credit. 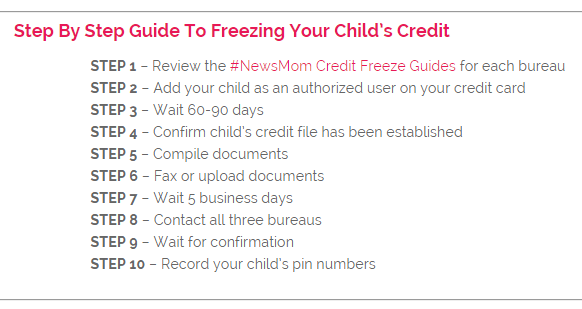 Each “Child Credit Freeze Summary” above streamlines the child credit freeze process for that bureau. The summaries above identify security concerns and include hard-to-find contact information, tips and sample documents specific to each credit bureau. You’ll also find a candid description of the hurdles and successes I encountered along the way. STEP 2 – Compile your documents. This is simply a letter swearing under penalty of perjury that you are the child’s legal guardian and have the authority to freeze your child’s credit. FYI – Don’t sign the letter yourself until you are in the presence of the notary. STEP 3 – Fax/upload your documents. NOTE: By default, the bureaus ask that you mail in your documents. Security experts advise against sending any sensitive information (like your Social Security number) via standard mail. While FedEx and UPS do provide more secure mail options, they do not deliver to P.O. Boxes, and the bureaus only offer P.O. Box addresses. STEP 4 – Wait five business days. STEP 5 – Call the bureaus to confirm your child’s credit file has been established. 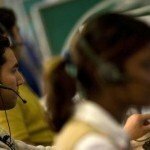 Experian will not verify anything over the phone, but you can call with questions. When they ask for a Social Security number, decline and insist that they look up the file using a name and address instead. You should agree to verify guardianship by confirming the last four digits of your child’s Social, but you should be allowed to decline to give the full Social Security number over the phone. 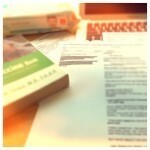 STEP 6 – Wait for confirmation from each bureau to arrive in the mail. STEP 7 – Record your children’s pin numbers in a safe place so you can thaw their credit when they turn 18. Thank you for providing this. It is very helpful. 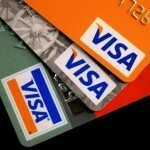 It is outrageous that the credit bureaus make it so difficult for us to protect our children from identity theft. This is our information that they are using to make a profit. I hope there is federal and state legislation to address this. I tried to freeze my wife and my credit report today and after 3 hours we were only successful with one reporting bureau. Thank you for putting this list together! It has simplified this process so much! I have a follow up question; Is there a way to get in touch with an actual human when calling the numbers provided? I wanted to verify the fax numbers so I wasn’t sending this info out into the void and I keep getting caught in an endless loop. Help! First off THANK YOU for this very clear and helpful “how to!” TU and Eq got back to us with credit freeze confirmations for both of our kiddos but Experian sent a letter stating they had removed their name from a “preapproved credit offer mailing list.” They also stated we would have to send another completed form to be permanently removed from said list. No mention of our request to have their credit files frozen. Any tips on dealing with them at this point? Nevermind, I JUST received the Experian freeze letters so it seems they sent out the “mailing list” notices beforehand. Thanks again for all your help! Terrific and useful article. I have an update for Colorado – a state not on the list of states that have enacted a child-credit-freeze law. Starting January 1, 2019 Colorado parents and guardians can request that a credit file be created for a minor and frozen if one does not already exist. So, if you can wait until then, this avoids the credit-card maneuver. It also authorizes the lifting or removal of the credit freeze – presumably before the child reaches 18. If you want to dig a little deeper, a starting link is https://copirg.org/news/cop/victory-gov-signs-credit-freeze-minors-bill-law . That’s fantastic Ian. Thanks for sharing. I called the Experian number you provided (and several other Experian numbers) and it’s been impossible to get to a human! Help! Working on it… stay tuned. In the mean time, I can have a Experian Rep call you if you’d like. 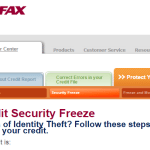 I tried faxing my Protected Minor Security Freeze requests to Equifax and TransUnion. Both the fax numbers you have listed (678-795-7954 and 610-546-4771 respectively) are non-working numbers. I will double check on the Transunion number. They confirmed with me last month that the 610-546-4771 is the updated number. Stay tuned. Out of curiosity, did you try dialing a 1 in front of the Transunion number? I wonder if the long distance on your fax prevented it from going through. The 678 number is what you have listed on your Equifax fax coversheet. The TransUnion number takes you to a recording saying “You’ve reached a non-working number at TransUnion.” and disconnects the call. I just updated the article. Unfortunately Transuion disconnected the fax without warning and has decided that they will no longer offer a safe alternative to mail. I’m very sorry. I just updated the article. Unfortunately Transunion disconnected the fax without warning and has decided that they will no longer offer a safe alternative to mail. I’m very sorry.